​A great way to immediately improve your home security system is to install motion detectors. However, many users are afraid that their pets may set off these sensors, causing false alarms. Luckily, pet-friendly motion sensors can prevent this event. 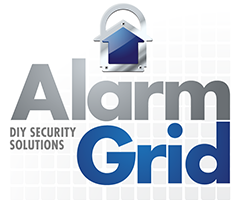 Buy pet-friendly motion detectors from Alarm Grid. Motion detectors make for great additions to any home security setup. However, many pet owners are apprehensive about using motion sensors because they believe that their pets may accidentally set off these devices and cause false alarms. To prevent this from happening, Alarm Grid offers pet-friendly motion detectors that are designed to ignore small instances of motion that are unlikely to be the result of human intruders. Many pet-owners have used these devices in their homes with great success, preventing false alarms, while still fully protecting their homes. Most pet-friendly motion detectors utilize passive infrared (PIR) technology in order to detect the presence of motion. This technology works by sensing the infrared energy that is given off by a person. When a significant change in infrared energy is detected, the motion detector will be activated and trigger an alarm on the system. With pet-friendly motion sensors, the sensitivity setting on the device is low enough that it will be unlikely to be set off by a pet or other small animal. This involves setting the device to a higher pulse count, where motion across a larger area of space will be needed for the device to activate. When classifying a pet-friendly motion sensor, many companies will state that the sensor “provides pet immunity for pets up to X pounds”. This means that pets smaller than the value stated are less likely to cause enough motion to activate the sensor. However, it may still be possible for the pet to activate the sensor if it moves directly in front of it or if the pet is moving around very quickly. Motion sensors that are mounted at too low of a height are usually more prone to being activated by pets. In general, the mounting location of any motion sensor will have a huge impact on the overall performance of the device. The height and angle at which the sensor is mounted will greatly determine in which areas the device is able to detect motion. Another important consideration is the lens that is used with the sensor. On some motion detectors, it is possible to change out the lens with a new one to adjust its range of motion. For example, a long-range lens can be useful to detecting motion across a long, narrow area of space. It is also possible to cover up a portion of a lens to block certain spaces from being picked up by the motion sensor. As stated earlier, pulse count will be the primary factor in determining how sensitive the device is. Too high of a pulse count will make the device less sensitive, and it may prevent the device from activating in an emergency situation. However, too low of a pulse count will make the motion sensor overly sensitive and it could cause false alarms by pets and other moving objects, such as a ceiling fan. Therefore, users will want to find a pulse count that serves as a happy medium for their unique needs.